About Dog Nutrition Naturally is really about me, Sandra. I'm the face behind the information on this website. I'm a Canadian living in Southern Ontario. I'm Sandra King and these are my dogs Teddy and Lily, with their funny little friend, Pippin. That's my partner and best supporter Fergus, in the background. I'm proud to say that I have created this website myself so I can share with you what I've learned about how to help your dog be healthy without using drugs or processed foods. I have many thousands of health conscious, dog parents as followers, clients and friends from everywhere. I love that! I'm a dog lover, animal advocate and an eternal optimist when it comes to helping your dog be healthier naturally. I promise that you will leave this website knowing more about dog nutrition naturally and how to take charge of your dog's health yourself. I do my best to give you great value for your time spent here. Enjoy! My Dog Nutrition Naturally Story is the story of my life growing up with dogs. My mother taught me much of what I know about feeding dogs a natural diet. My mother was a raw feeder long before anyone even thought about it in those terms. 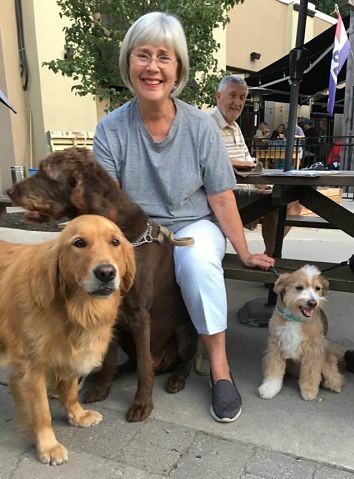 It was just how she fed our dogs at home, back then. My Mom was also a great believer in the healthful power of herbs to keep us all fit as a fiddle! Looking back, I realize that the dogs and cats I grew up with all lived a long time. 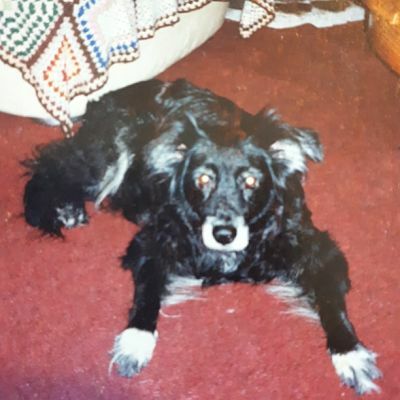 My oldest dog Maggie, was 22 years of age when she died. Now, dogs are lucky if they live 9 to 12 years. Just recently my old dog Jack, passed over the Rainbow Bridge at almost 20 years of age. Jack had a wonderful quality of life, right up to his last day. Well done Jack! The turning point in my story about Dog Nutrition Naturally starts with the tragic and unexplained death of my beautiful dog Rosie ( Jack's sister ). Rosie had many health problems starting right from puppy hood, and she passed away at only 5 years of age from unexplained organ failure. I was devastated by Rosie's death. 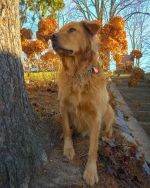 At first, I couldn't understand how this horrible tragedy had happened, but I soon realized I had veered far from what my Mom had taught me about dog nutrition naturally and how to care for myself and our pets, the natural way. 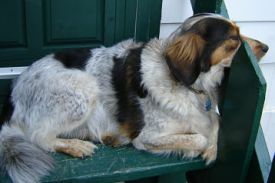 My heart was broken, and I felt so guilty, but I still had three other dogs to care for. So, it was time to start again. I needed to rethink what and how I had been doing things. I decided right then, to go back to using the knowledge I had learned from my mother that I had stuffed to the back of the dusty closet in my mind.
" Just get back to basics, Sandra! Dogs are dogs. Dogs need meat and bones to be healthy and happy." Mum, you were so right! Mother Nature has always been my favorite teacher! Understanding how wild dogs live and feed themselves to stay healthy is fascinating to me! It's worked for thousands of years. The Laws of Mother Nature have been in existence since time began. They still hold true today, tomorrow and forever. I have also learned much from my favorite holistic veterinarians. 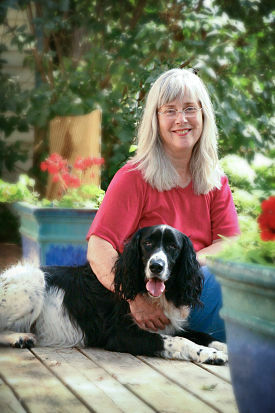 I've taken excellent courses about natural health care for people and animals. I always continue to learn and encourage you to do the same. Nature provides us with many options to help the body heal and strive for health on it's own. I'm not a vet, so I can't give you medical advice, but ...I can give you good advice! I live the benefits of natural health every day. So I know it works. My dogs are free of disease and don't have health problems. My dogs die of old age, not cancer. My dogs rarely go to the vet. They don't need drugs to manage pain or other symptoms. That's the way it should be. The proof is in the results! Time is all we have! So I believe it's important to maximize the time you have with your beloved dog by nurturing his natural ability to stay healthy so you can love him longer. That makes sense doesn't it? You can learn the core principles of how to care for animals and yourself the natural way. Then you can use those simple principles in your everyday life. Suddenly you will wonder why it took you so long to wake up to the truth! I know you want to make the best choices by learning all you can about dog nutrition naturally and feeding dogs for good health. I'm here to help you discover and learn. I work to expand my ideas about what it means to live a full and naturally healthy life in service to others in my own unique way. So while you're here, please don't forget to sign up for the Dog Nutrition Naturally Newsletter. It's a great way to stay in touch so you don't lose me. I only send interesting and helpful articles to assist you. Enter you email address and subscribe! Teddy and Lily are naturally healthy dogs! 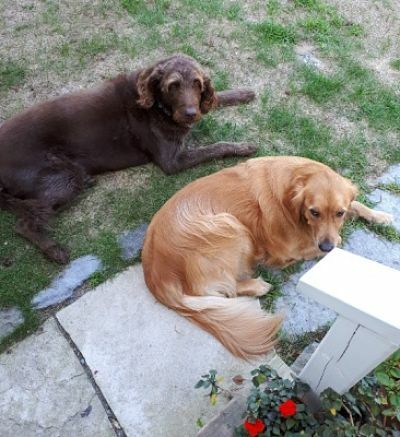 We are blessed to be living with Teddy our 9 year old Chocolate Labradoodle and lovely Lily our 4 year old Golden Retriever. They are healthy and full of life! My dogs have always been my main source of learning about health, life, love and longevity. Our dogs have much to teach us. Good health is the greatest gift of all. Total wellness for all creatures. Rosie was only 5 when she left me so heartbroken. I miss her everyday, but know that she led me back to the natural path to healing and recovery. This journey has allowed me to help many others do the same. Thank you Rosie! Tuxedo, also known as ' Boss of the World ' was by my side for 17 years. 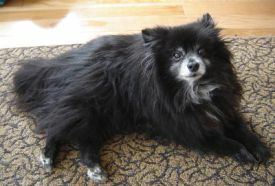 No health problems for this little Pomeranian dog. I miss you Tux! It's too quiet without you! Jack was Rosie's brother. Jack's early life was plagued by giardia and diarrhea from inflammatory bowel disease. He got over that using the core fundamentals of natural healing and a program targeted to his specific health concerns. Sweet, gentle Jack lived the rest of his long life healthy and happy. He passed at 19 1/2 years. Pager came to me at 4 with many dog health problems including a yeast infection and resulting allergies. We spent 12 wonderful years together, but there are never enough years, are there? So little time. Pager passed at 16 years. He was my right hand guy! The best dog in the world! 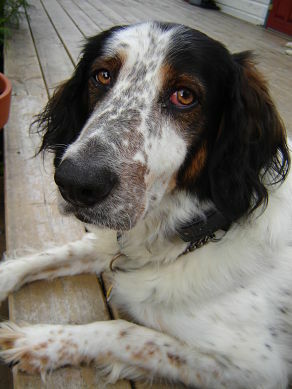 I will miss my gorgeous English Springer Spaniel forever! 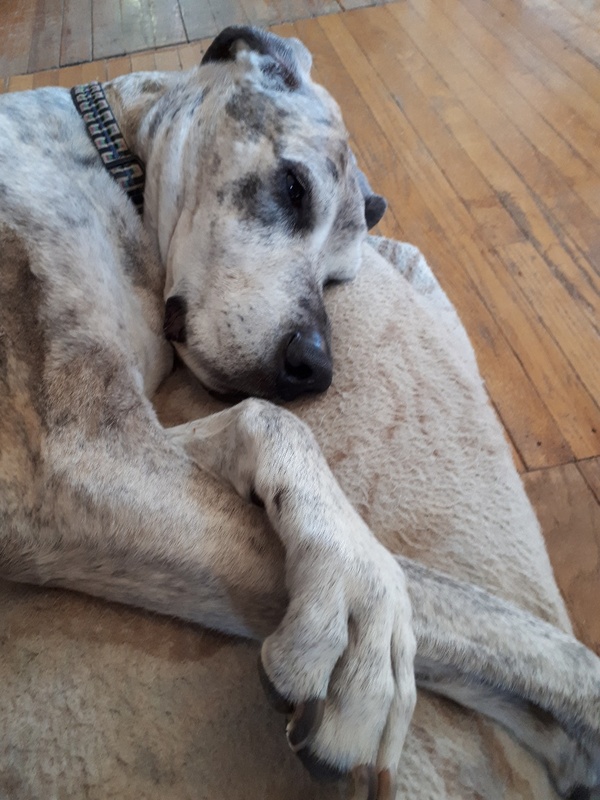 Gracie our 13 year old Great Dane left us way too soon. Gracie was only with us for one year, but she was so easy to love. Gracie I miss your lovely, quiet, funny, self. I'll always remember how you would cover your eyes with those great big paws every morning when I turned the light on. Love you forever my darling, Gracie!